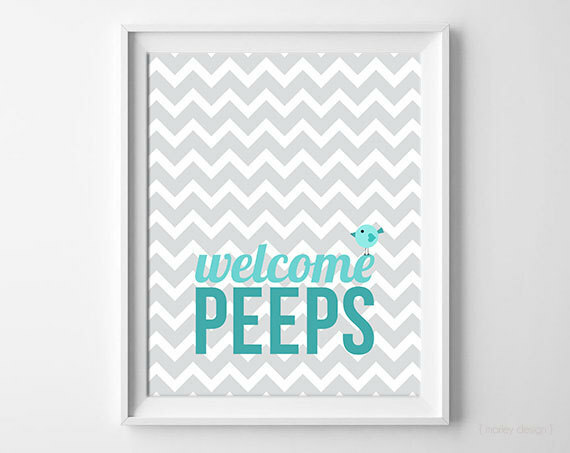 Etsy printables to decorate your home for Easter. 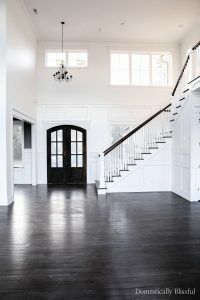 One of my favorite features on Etsy is that I can browse hundreds of shops & instantly download my favorite quote, art, banner, tags, poster, ect. with just the click of a button! So since Easter is just around the corner I thought today would be the perfect time to share with you a few of the beautiful works of art that I found recently while browsing through Etsy. 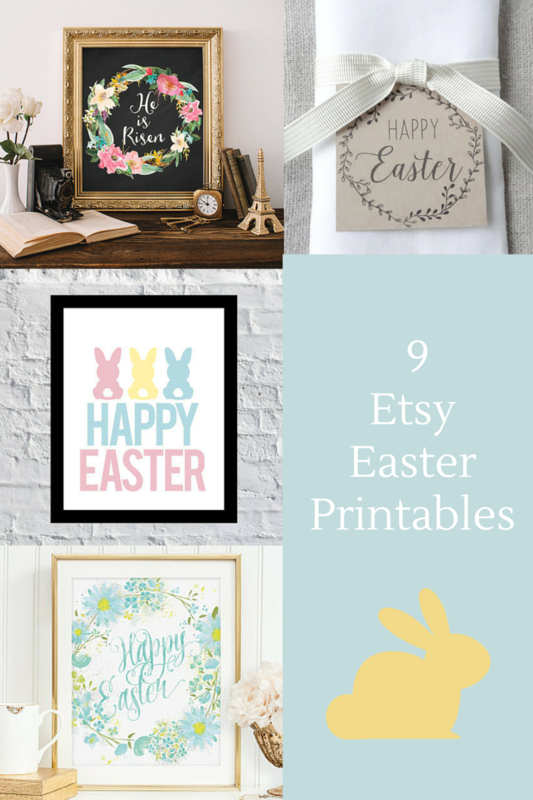 So here are 9 Etsy Easter Printables that I think you will love! There are so many things that I love about this Easter Print by Moss and Twig Prints! 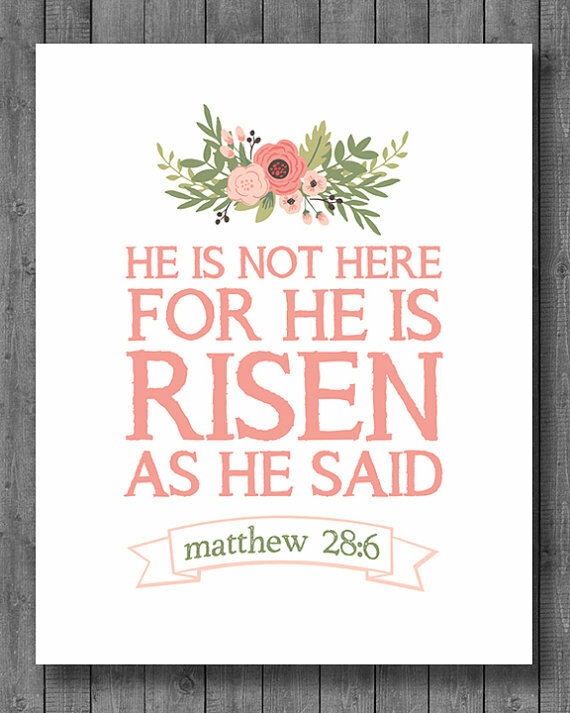 Although I love the colors & the font my favorite part is that the central focus is on the importance of Easter – that He is Risen! 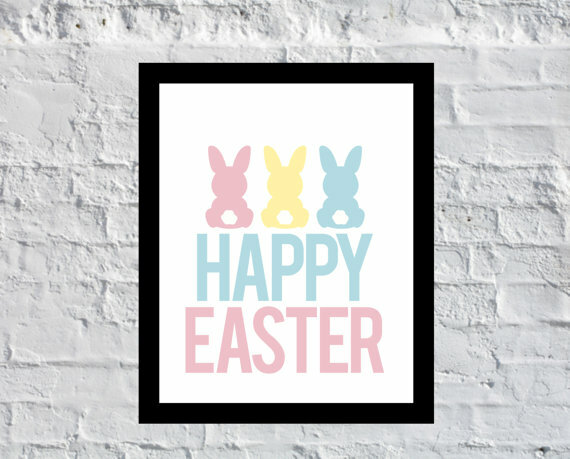 If you love bunnies than this Happy Easter Bunny Tails Printable is the perfect little addition to your home decor this Easter. 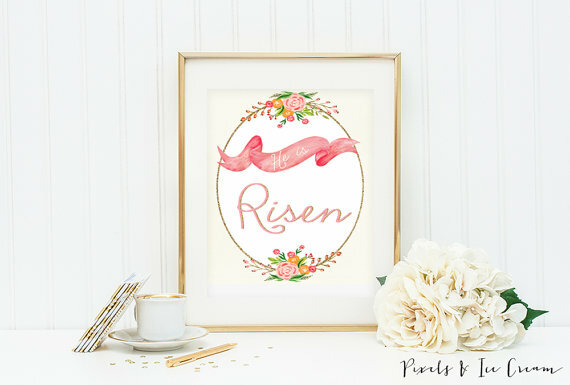 Elizabeth at Nestled Nook has several simply perfect Easter printables in her Etsy shop that I think you’ll enjoy. Aubrey at Just A Peek A Hoo has created this beautiful Easter Print that is ready to be printed & framed in your home. I love that this print features this special Bible text in big bold pink lettering! 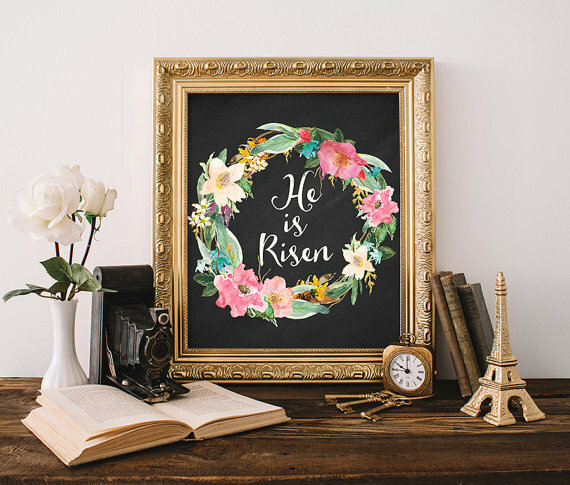 This chalkboard inspired Easter Digital Art is actually on sale right now at A Slice of Southern! You’ll have to check out Amy’s Etsy shop to see all of her beautiful designs & the special sale that she has for this pretty little printable! 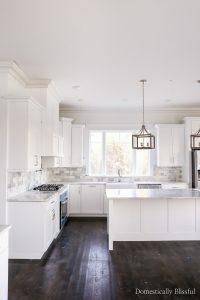 Are you hosting an Easter brunch for your friends & family this year? 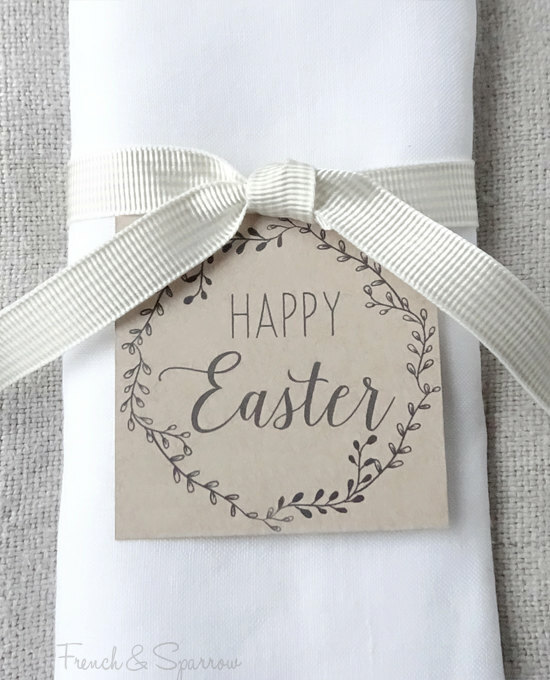 These Printable Easter Tags by French and Sparrow will make the perfect little addition to your spring table! I love the simple elegance, the font, & especially the little wreath! 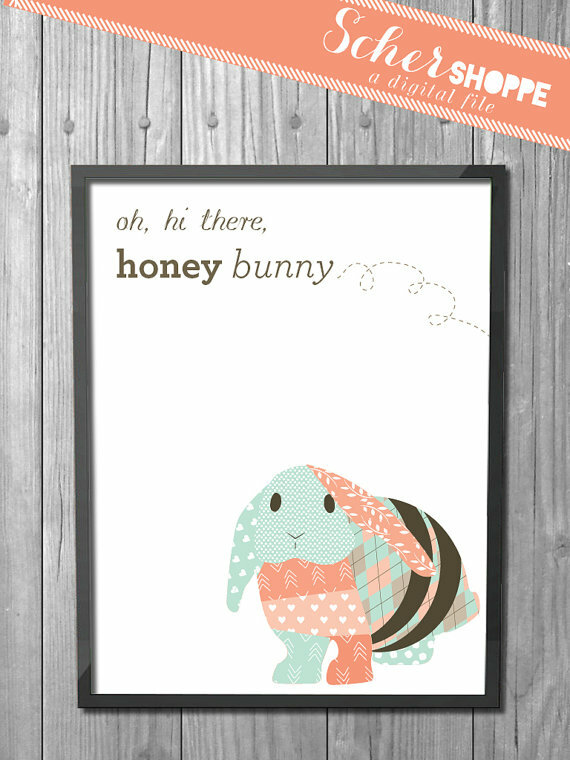 How adorable is this Whimsical Honey Bunny Poster by The Scher Shoppe? 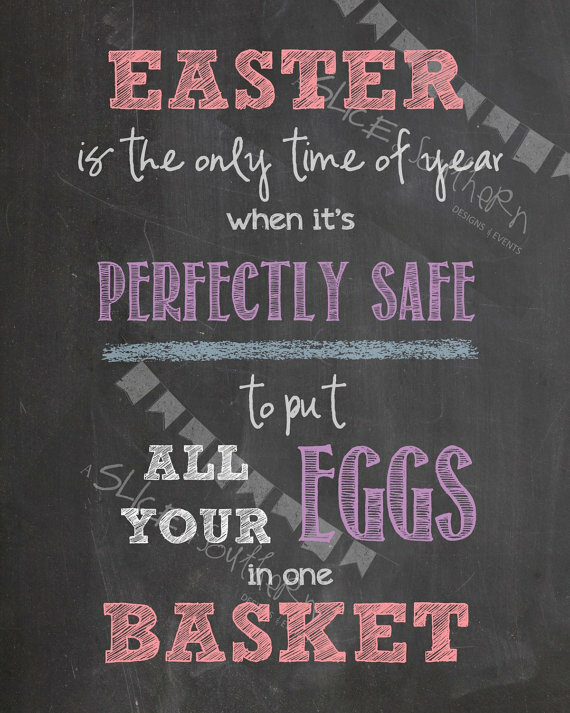 This would be the perfect little welcome sign for all of your friends & family when they visit you this Easter – & I just love the quote! 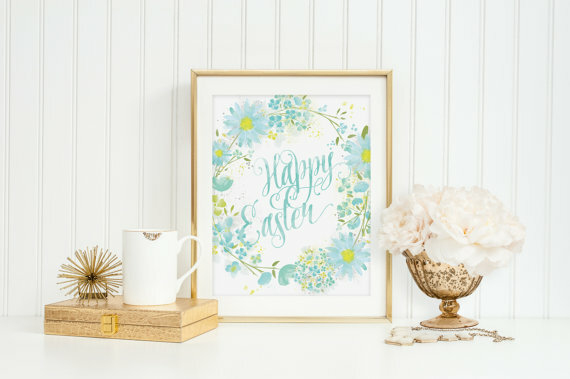 Maggie at Frou Frou Craft has created a beautiful Happy Easter Art Print that will look perfect in your home this spring. From the flowers to the colors this Easter print is blooming with the beauty of spring! This Easter Wall Art would be a fun little spring addition for your dorm room or apartment. Marley at Marley Design Printable Goodness has over 25 Easter designs that you must check out, including several art designs, invitations, & a banner! Pixels and Ice Cream has created created a darling print that brings us back to the central theme of Easter in a few of springs happiest of colors. This He Is Risen wall art can be instantly downloaded & framed for the remembrance & enjoyment of you & your family! In my distress I cried to the Lord, And He heard me. 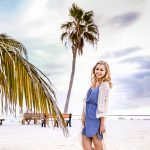 *Disclosure Note: Two of these Etsy shops offered their prints to me (after I had been given their permission for using their prints in this post) & I will be sharing them on my Instagram & Facebook. Aww that honey bunny one is adorable!! I really need to purchase more frames for all of the printables available online!! I was thinking the same thing! 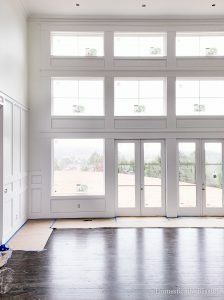 You can never have enough frames, there are just so many different shapes, sizes, & colors!